Emergency phones have strict requirements that set them apart from your typical phone. An emergency phone is a highly visible public device that’s almost never used, yet it must work with mission-critical reliability. 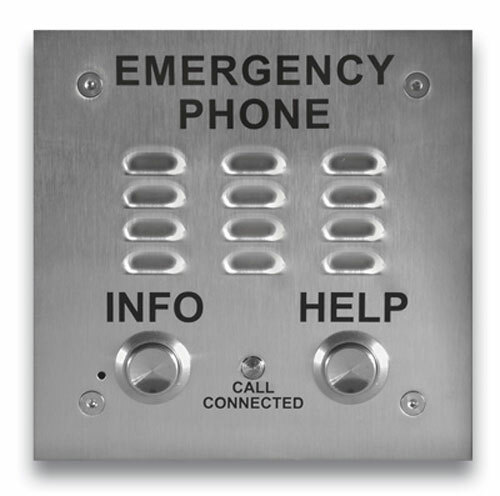 Emergency phones often need to be vandal-resistant and, for outdoor placements, weather-resistant. It must be completely obvious to everyone how to use it and so easy to operate that someone who’s panicking can use it. Because emergency phones need to fit perfectly into a wide variety of situations, you also need to find a manufacturer who thinks through all the possibilities and builds solutions for them all. In short, an emergency phone is not something to take a chance with. 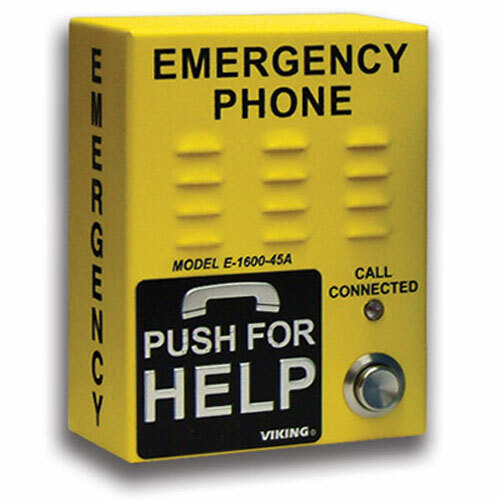 Viking Electronics have been producing emergency phones for years, and serve as the perfect example of a manufacturer who has thought through all the possibilities. 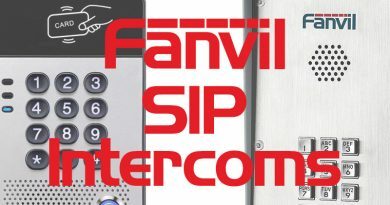 For this blog, we’re going to focus on the Viking E-1600-IP Series of emergency phones, comprising ADA-compliant VoIP emergency phones for a range of situations. 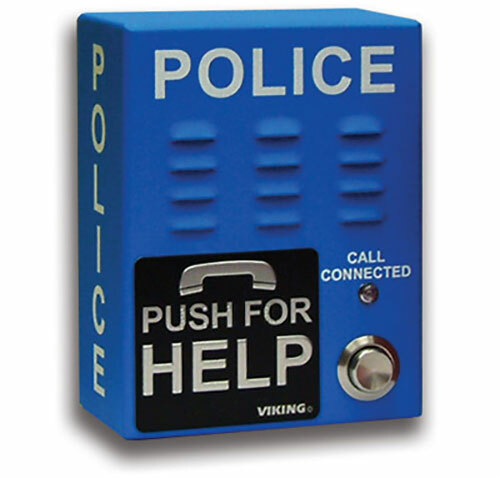 Viking emergency phones are known for their excellent build quality, broad SIP interoperability, and deployment-specific options. Emergency phones are not like deskphones or smartphones. They don’t come with lots of user-facing options for interaction. Rather, a well-designed emergency phone shows the broadest spectrum of users how to use the phone in only one or two ways. 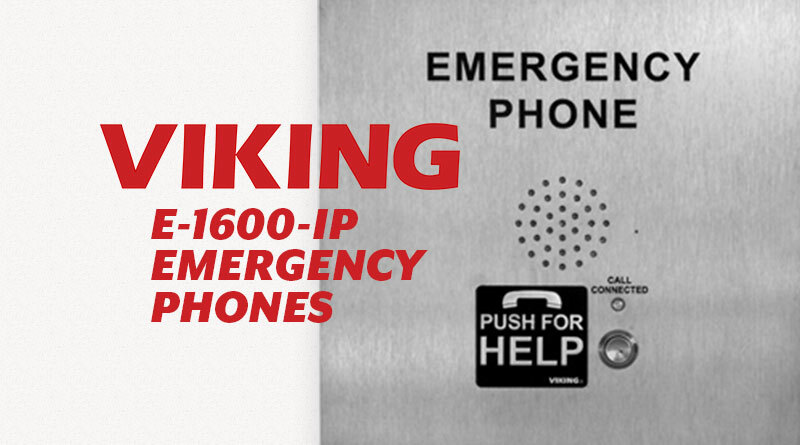 Take the Viking E-1600-30-IP emergency phone as the perfect example of a basic network-enhanced emergency phone. 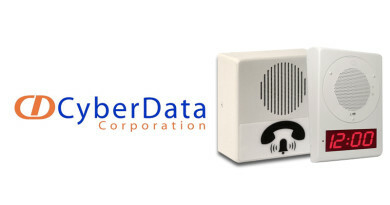 E-1600-30-IP is a flush-mounted emergency phone, so it sits securely in a wall. It has exactly one button, which is clearly labelled with laser-etched graphics. A single red LED light shows the user when the line is in use. You can get an optional faceplate with the same message stamped in braille for ADA applications. The faceplate and button are built out of marine grade stainless steel with Torx security screws, so it’s highly resistant to vandals. The speaker is protected by steel louvers. A condensation drain hole improves longevity. All of this seems really simple, right? And it is. How do you use a phone with only one button? Well, you press the button. How do you know it’s working? Well, the LED is lit up. Who will know how to do this? Well, as close to everyone as you can get. 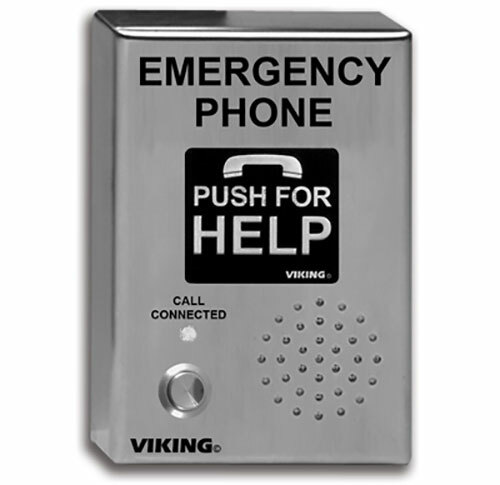 Viking IP emergency phones follow Steve Jobs famous philosophy of making excellent products that are intuitive to use. Anyone should be able to easily use an emergency phone. ADA, the Americans with Disabilities Act of 1990 and its subsequent revisions, is an important piece of legislation that protects the rights of people with disabilities. One part of the ADA is a series of regulations that requires specific design elements that help people with disabilities. These regulations are so detailed as specifying the range of distances between dots in a letter of braille (0.090 to 0.100 inches, if you’re curious). It’s a lot to think about! Thankfully, if you look for emergency phones that are ADA compliant, you don’t have worry about any of it. Viking ADA compliant emergency phones are built to these extremely exacting standards. The “Call Connected” LED automatically lights up, a clear visual signal. 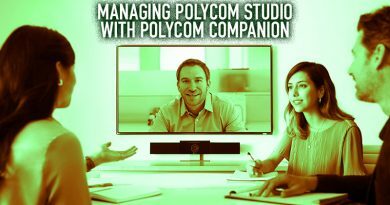 A unique location ID or voice announcement is automatically transmitted according to your specifications. And so on down the line. Viking’s attention to detail helps people with disabilities and relieves you of worrying about whether your installation follows regulations or not. When shopping for an emergency phone, many people notice that there are a lot of options to sift through. The Viking E-1600-IP Series, for example, has over a dozen models, from a bright yellow model for public safety to a model without a chassis for custom installation. As you look for an emergency phone, think through what the phone is going to be used for and, importantly, how you’re going to mount it. Do you want a surface mounted phone that projects out, or a flush mounted phone that lies flat along the wall? Do you want to install the phone on a stand? We sell authentic Viking accessories like gooseneck stands. Do you want a phone that can both connect to an emergency responder and indicate an emergency? You might need a two-button emergency phone like the Viking E-1600-20-IP. Do you want it to call the police? Viking has a model specifically for that. Do you want a visual indicator of an emergency? Viking E-1600-IP phones have a 2 amp relay built-in, so they can drive a strobe light like the Viking SL-2. You can program the system so that when the help button is pressed, a bright light starts flashing. That same 2A relay can be used to automatically unlock doors or gates in case of emergency. There are many considerations to take into account. Two of the primary considerations that we haven’t touched on here are how you want to connect the phone and whether you want it to be installed outside. VoIP emergency phones improve on traditional analog emergency phones in a number of ways. First off, you don’t have to hardwire the phone. You use an Ethernet cable like any other. With a Viking VoIP emergency phone, you get simpler management of the phone through the network, including firmware updates through the network to improve your emergency phone’s performance over time. 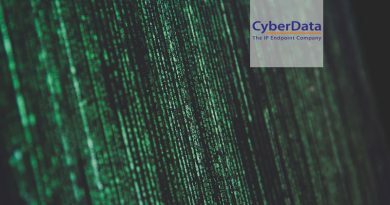 You can program all the numbers for connected phones through the LAN, saving you the hassle of setting them up one by one. One more example of Viking’s attention to detail: the numbers are all stored in non-volatile memory, which does not require batteries for operation, so in the event of a power outage, your emergency numbers are safe. Viking VoIP phones can automatically deliver the location of the emergency call, getting help to where it’s needed more quickly. 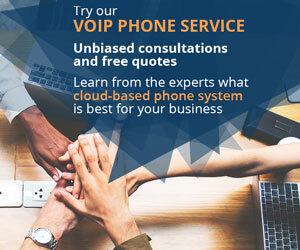 Viking VoIP phones also feature PoE (Power over Ethernet), which means you can power the emergency phone using the same Ethernet cable that connects it to the LAN with a PoE injector or PoE switch. This reduces your infrastructure needs, leaving one less thing to potentially fail. When shopping for Viking Electronics products, you’ll often see the same item twice, once with EWP in the name and once without EWP. EWP stands for Enhanced Weather Protection. Viking EWP products are IP66-rated for outdoor placement. An IP66 rating means the tested device is totally protected from dust ingress and is protected from high pressure water jets from any direction. In other words, a Viking IP66-rated emergency phone is prepared for almost any form of bad weather. How do they earn this rating? 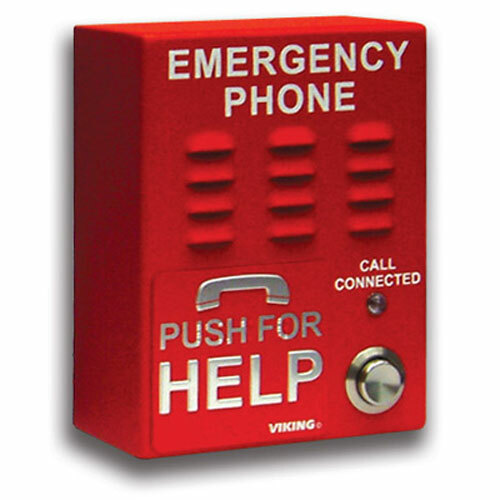 Viking EWP emergency phones have internally sealed switches and controls. All wire connections are sealed to be watertight. The speaker is made from Mylar and has a weather-proof foam rubber gasket sealing it. An anti-corrosive sealing gel weather-proofs all the connectors. The LED light and the microphone are covered in a watertight sealant. The whole circuit board is “potted” in a flexible urethane or thermoplastic material to leave the device adjustable and the components accessible while retaining the weather-proofing. This flexible “potting” material also accounts for the natural expansion and contraction of materials due to heat and cold. Viking emergency phones are models of how attention to detail and expert engineering can provide simple solutions for mission-critical communications situations.